Seine (up slippery iron poles and across ships’ decks). plumage turned out not to amuser. who had just come up from Nice. I wrote the above draft poem for dVerse Poets Pub’s “Poetics” prompt, hosted by the indefatigable Brian Miller. The prompt asks for a poem that somehow goes back in time. 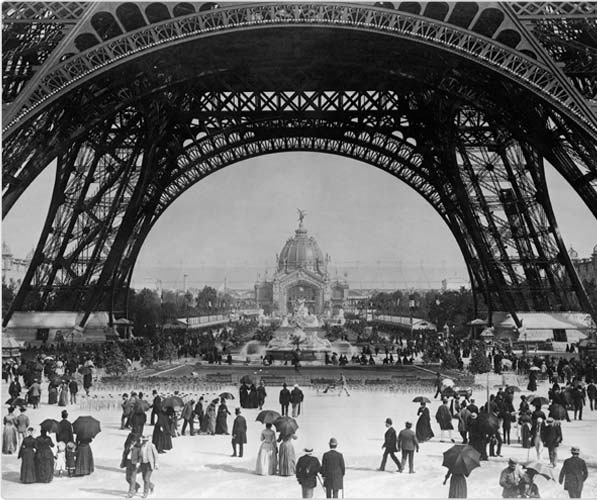 The Paris 1900 Summer Olympics (called the Games of II Olympiad) were held in conjunction with the Paris World’s Fair. It appears to have been rather a wild Olympics with new (and one-time only) events such as obstacle swimming, pigeon shooting with 300 live (soon-to-be-dead) pigeons, live game shooting (only this was done with cardboard cut-outs), and non-official sports such as firefighting, delivery van racing, and, allegedly, poodle hair-cutting. The first women’s only event was inaugurated there, croquet, with one ticket sold. However, in a mixed (i.e. “co-ed”) event–two person sailing–Helene de Portalèse won the first gold medal ever won by a woman. Have a nice weekend! And if you have time, check out my books – poetry, GOING ON SOMEWHERE, (by Karin Gustafson, illustrated by Diana Barco). Or if you have time, check out 1 Mississippi -counting book for lovers of rivers, light and pachyderms, or Nose Dive, a very fun novel that is perfect for a pool or beachside escape. This entry was posted on August 4, 2012 at 3:59 pm and is filed under poetry, Uncategorized. You can subscribe via RSS 2.0 feed to this post's comments. Something so decadent and delicate about this, so sophisticated, so…. French! I wish! Wouldn’t that be fun? I’m not so good at croquet but would enjoy the obstacle swimming I think. Or poodle cutting! Now there I’d have some experience. k.
Poodle hair cutting! Geez we’ve come a long way. Thanks so much for this. You PUNCTURE romance with history and its material culture which tells its own story!! And then back to the wonders, inventions, un-attended event for women, and film documentary. We’ve got to call up Woody Allen! There is a film to make here, it just needs us to name a few characters. What an enjoyable read! I love how you described, in a very vivid way, the different activities, and how I saw them in an accelerated movie, very Chaplin-like… Thank you for giving us details after your poem! I really liked this expression: ” moued-mouth lips”; I could definitely imagine them! I speak French as a 1st language too, but I can say that the way our mouth is shaped in Quebec is different (more relaxed?) than the French’s, especially the Parisians 🙂 So I had to laugh out loud on that one! Fascinating! I enjoyed reading about the 1900 Olympics. So different from the games of today. very nice k…you really slayed this prompt and loved your story so full of life…and how all that changes so quick as well…with the advent of war or whatever may shake our lives up…really well told and engaging…. Thanks so much, Brian. Really enjoyed. Awful thinking of WWI destroying all that rich quirkiness. Thanks. k.
how we used to practice that in fifth grade, and crack ourselves up. But this is not just for tourists, or purists, for that matter. The last few stanzas are a hit to the solar plexus, and of course, we too will soon enough be all gone, nothing but some quaint and no doubt distorted apocalyptic tales for re-telling–if there is anyone left to do that. Very fine work, Karin. And I do see where this might be a draft, and perhaps get a bit of a tweak and swivel here and there, but it’s really awfully good as is. Tbanks so much, Joy. There is a wonderful movie on youtube–I should probably have posted the link–that has film from way back when. All pretty quickly and distractedly done, so I am sure there are plenty of “tweaks and swivels” as you said, but glad to get something up. I just loved the E. Dickinson as you must know. k.
No, no, didn’t take it that way at all! I find it very hard to find people’s links sometimes. At the same time, I sometimes feel they are a bit pushy to put them up there! I understand and will link next comment. It makes it much easier. k .
Yes, I was actually quite surprised to look at the footage – 1900 doesn’t sound that long ago to me, but very different. k.
Great job on that history prompt. I’m awful at history and ended up giving up on that prompt. Karin – a fantastic panorama and social commentary – all in a beautiful tongue in cheek tone. Love the details and the lean into French mores. The opening stanza is my favourite – ‘moued mouth lips’ and Paris bobbing with fair – just brilliant. delicious! description, detail, and way you wind the story out. photos from this era always look gloomy to me. you’ve brought immense light and color to this scene. very nicely done. Just amazing on the scenario surrounding the events of 1900.. We are now into the 2012 Olympics with ‘live’ coverage. We can see the contrast of the 2 periods. Great write K! An epic journey back in time, interesting and fascinating !! wow,pigeon- shooting really ? ah I miss croquet…smiling! This is just marvelous! I love all of the details. This feels incredibly alive. you captured the essence of that time so well. this was lovely. i liked the part about the women holding their skirts and not eating on the streets. people actually waited for their meals and didn’t just snack when the idea fell upon them. amazing. I love this. The details, the sneaky puns, the whiff of Paris in her copper-blue (!) roofs. Thank you.